It may not be the greatest show on Earth, but for those in pursuit of the Chinese Rooster it’s not far from it. 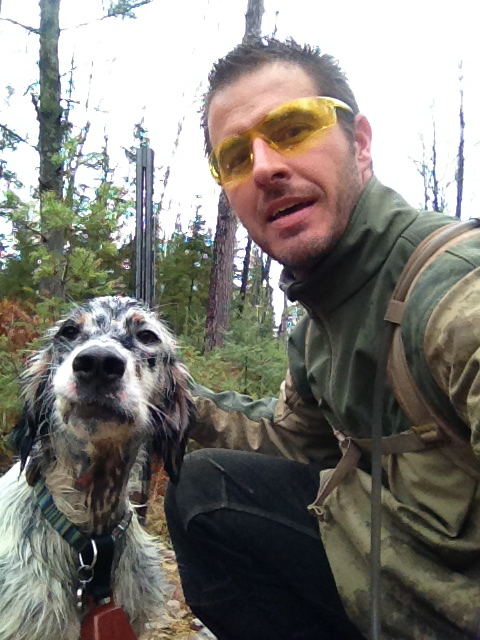 I rolled into the Black Hills of western Dakota a week before the trumpeted pheasant opener in order to get some spring back in the legs and give Wyatt, my black lab hunting partner a chance for some much earned time off. 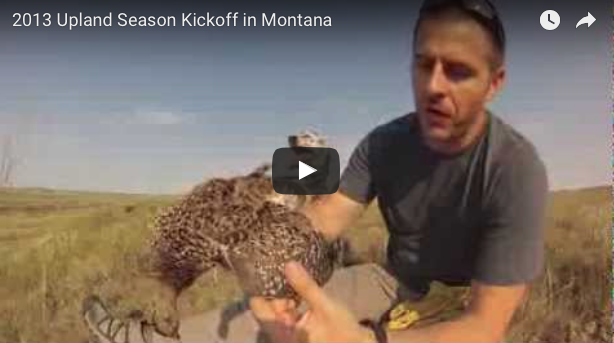 We got most of the kinks worked out with a month of continuous hunting in both North Dakota and Montana prior to our arrival in the Sunshine State. The sights in the Black Hills and badlands are inspiring, but a week without a gun in hand can cause the shakes. So it was good to head to the local sporting goods store to restock on shells and get my nonresident ticket. I think the limited day license that SD and many western states have instituted seems petty and likely loses the state revenues. But I select my 10 concurrent days and get out the door for the nearest grasslands. After my license expires I’ll move on to spend money elsewhere which I’d guess is what most hunters do. In the badlands area just east of the Black Hills a mixture of agriculture and grassy buttes comprise habitat primarily for Sharptail and Hungarian Patridge. 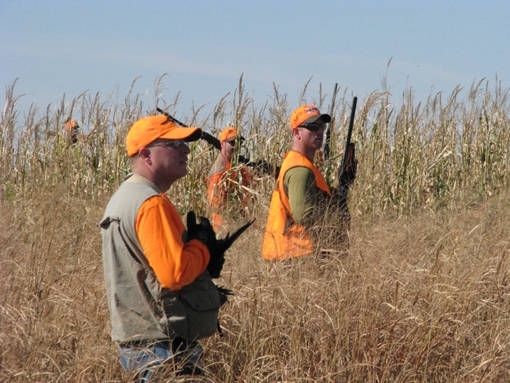 Of course there are still pheasant tucked into cover around grain fields, but the main game in this area is the grouse. The wind is always blowing one way or the other around those western hills and two days of 25-40 mph gusts made for challenging dog work and shooting. There is an abundance of national forest land open to hunting through the Black Hills National Forest and Buffalo Gap National Grasslands. Additional walk-in areas are scattered about as well. Cover close to grain will likely net the best chances for Hun. One caution for hunting around The Badlands National Park, we drove to an area that looked like prime country for Sharpies only to be met with a warning sign of plague infestation. There are few things that can stop us from hunting; Black Death is one of them. So we moved to happier hunting grounds that afternoon and managed to scratch down a couple of birds after spraying shot into big winds. 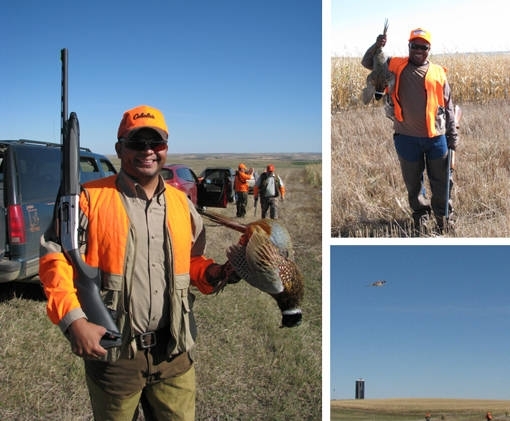 The storied pheasant opener was looming so we headed southeast to join up with the Double K Guides of Gregory, SD to experience rooster hunting from the perspective of the masses who journey to hunt this state. As we rolled into the Dallas area the hordes of the Orange Army could be seen assembling at all the local eateries, gas stations and watering holes. This part of the state is considered the heart of the Pheasant Triangle; ripe with cover, corn and birds. 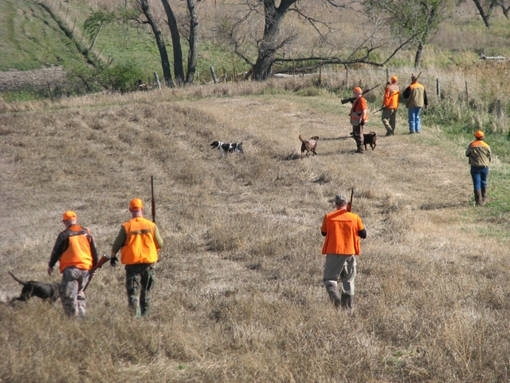 An odd twist to SD opening week is that pheasant hunters are not permitted to take to the field until noon. I’m certain there is an “official” rationale for this, but my guess is that the state is attempting to keep hunters safe from those among them who may have celebrated the rooster eve a bit too much for accurate A.M. shooting. A large part of this grand South Dakota tradition is the entertainment and camaraderie that you find when you bring together a bunch of guys with guns. There is a hefty dose of bravado and bourbon and a noon start time allows leeway for both. 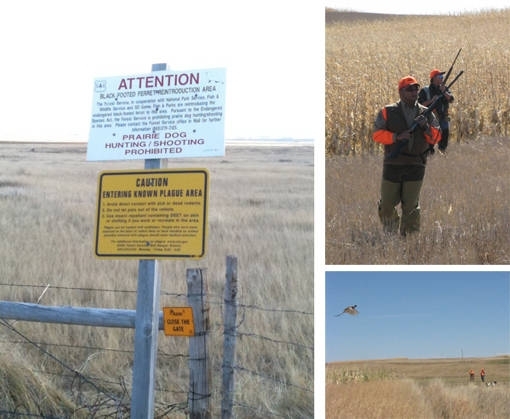 The Double K Guides operate in the fashion of many South Dakota landowners where hunting is an additional revenue stream to the normal activity of the farmer. Hunters share modest accommodations in one of four local lodge houses with lunch and dinner included along with guided hunting of the private farmland. The fried chicken dinner one evening was worth the trip alone and a great example of the home cooking one can expect. Our armada assembled around the noon hour at one of the houses, there’s no mad rush to get to the field since it is private acreage. After a brief safety speech and description of the days activities the 16 hunters, two guides and four dogs drove a few short miles to one of the Double K’s many fields of corn, the bulk of which is still standing this time of year. The group split up into 10-11 walkers (or pushers) and five to six blockers. The blockers and one guide drive the vehicles to the far end of the field where the guide stations them for the impending passing shots. As the pushers walk through the corn strips along with the dogs, the noose tightens to the blockers and ever increasing amounts of birds take wing. It wasn’t uncommon to see hundreds of birds in a stretch of field not more than a few hundred yards long. And according to one of the guides, as the season progresses the weather gets colder and more crops are harvested the bird density increases. Hunters take turns in roles as blocker or walker as we move from field to field with the same outcome, oodles of flushes and lots of shooting. Of course the primary rule of this style of hunting, NO LOW SHOTS. 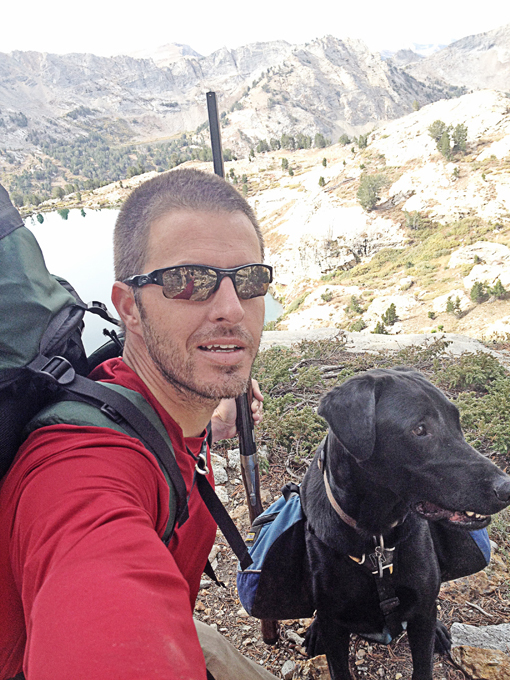 All low flying birds are off limits for safety’s sake of hunter, guide and canine. And of course, don’t shoot the hens, but everyone gets into the habit of calling out identifications. After hunting by myself for well over a month this aligned march is a strange contrast to witness. I was carrying a camera not a gun and attempting to wrap my brain around the sea of ringnecks and gunners. 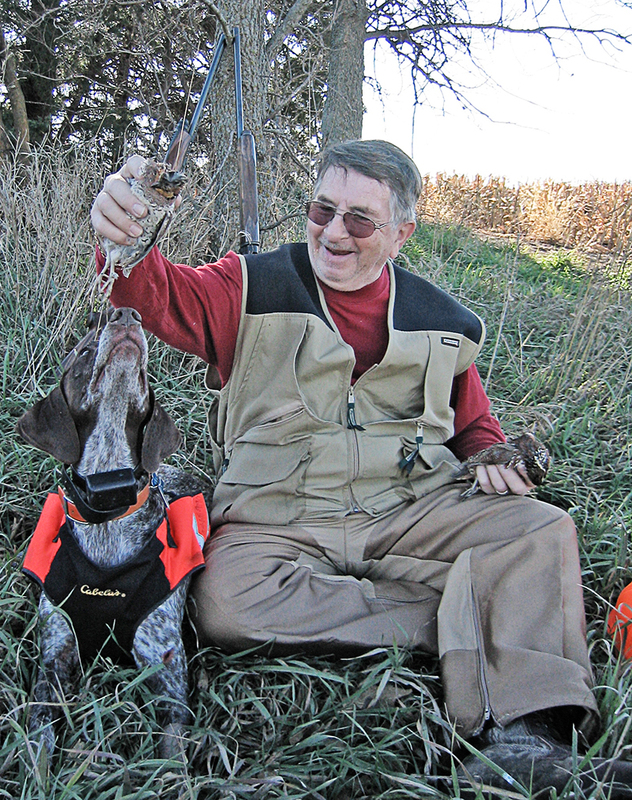 The Double K Guides have the hunt well choreographed though with years of experience to rely on, they know what to expect of both hunters and pheasants. 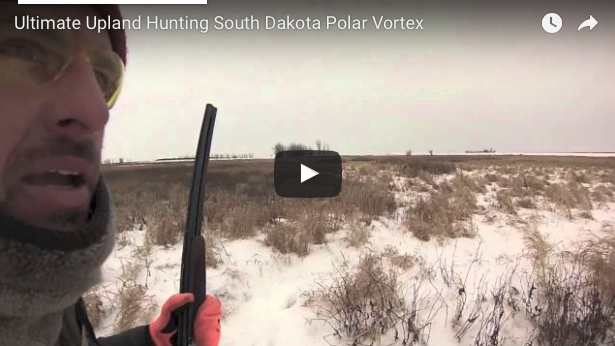 This style of hunting is the classic SD guided hunt. It virtually guarantees everyone will have a shot at harvesting a Dakota rooster. And because these birds are so prone to running, the use of blockers is about the only way to get pheasant out of grain fields that they frequent this time of year trying to fatten up for the long Winter. 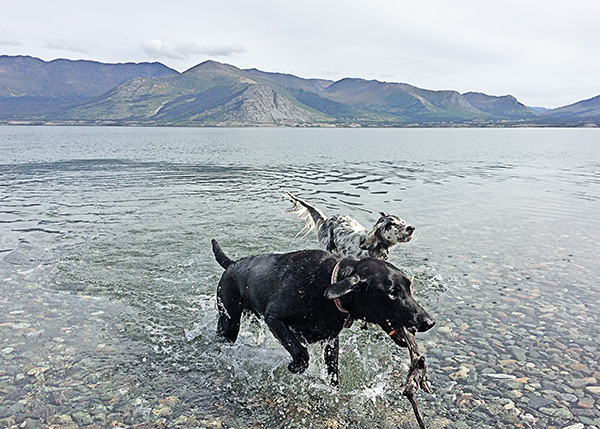 The dogs, labs with a short stocky build seem to be the most common, aren’t required but it is a nice bonus to have a good retriever and occasionally they assist in the flushing as well. When hunting with this large a group every action is on display. So nice shots are applauded and bragged on while poor shooting is jeered, all in good fun of course. I counted nine shots on one rooster flush without a single feather cut; I think that bird is probably still flying en route to Canada (I won’t add names, but plenty of deserved ribbing ensued). The guides see that harvested birds are cleaned and packaged, and can be collected at the end of the hunt for those wanting to try some pheasant recipesat home. It is a very sanitary way to hunt. I enjoyed the time spent with the Double K Guides. It was fun to share stories and a few beers with guys of diverse backgrounds and varied levels of hunting experience. But two days was enough of the Big Show and it was time for me to get back in the field. The second half of the SD to be continued, where we put down the camera, pick up the shooting stick and unleash the hound in SD……….